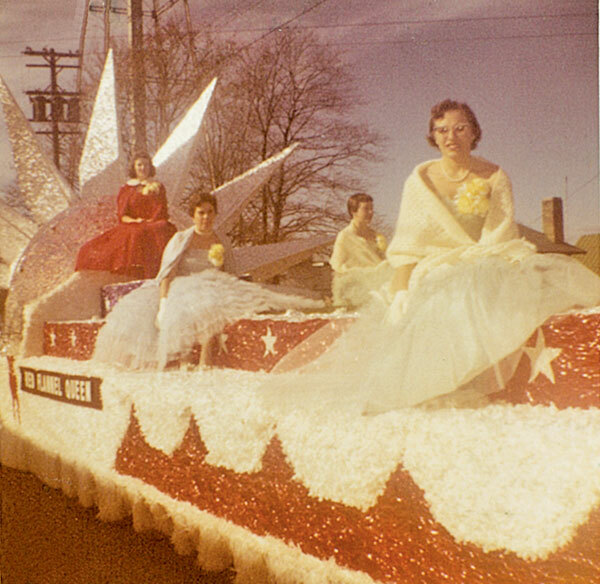 Tag Archive | "Joan Covell"
Joan Covell, formerly of Cedar Springs, and now of Boyne City, was cleaning out photo albums last fall when she came across some old photos of Red Flannel parade floats. Last week, we ran a photo of the 1958 Red Flannel Queen and Court. This week, we have a photo of another float. 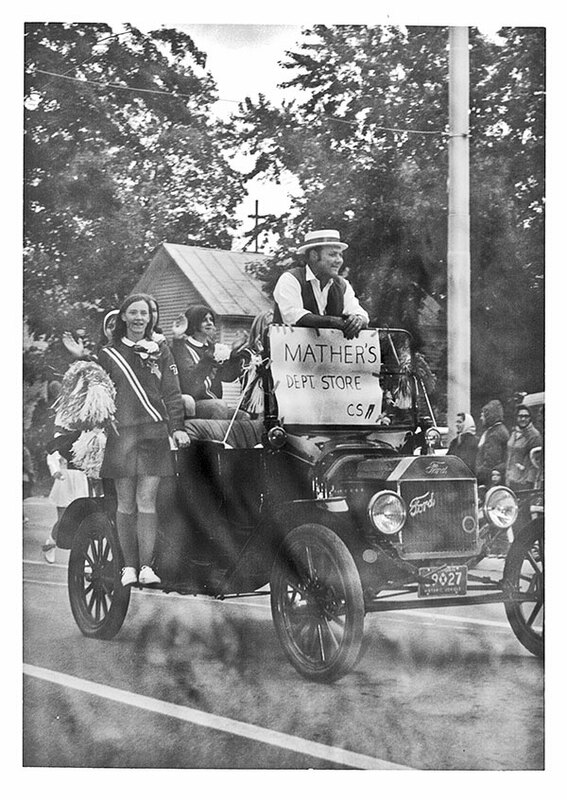 Can anyone identify who the people are on the Mather float, and what year it might be? Give us a call at 696-3655, or email news@cedarspringspost.com. Joan Covell, formerly of Cedar Springs, and now of Boyne City, was cleaning out photo albums last fall when she came across some old photos of Red Flannel parade floats. The one we are sharing this week is of a Red Flannel Queen and Court. The back of the photo says it was 1958. How many of you remember the parade that year? The RF Queen that year was Martha Newell, and her court members were Sally Morris, Judy Korcal, Mary McInnis, and Judy Winter. If you were around during that time, please give us a call at 696-3655 and let us know if the young women in the photo are the ladies we just mentioned. Do you have any photos from previous Red Flannel Days you’d like to share? Please email them to news@cedarspringspost.com or send them to Red Flannel photos, The Cedar Springs Post, PO 370, Cedar Springs, MI 49319.